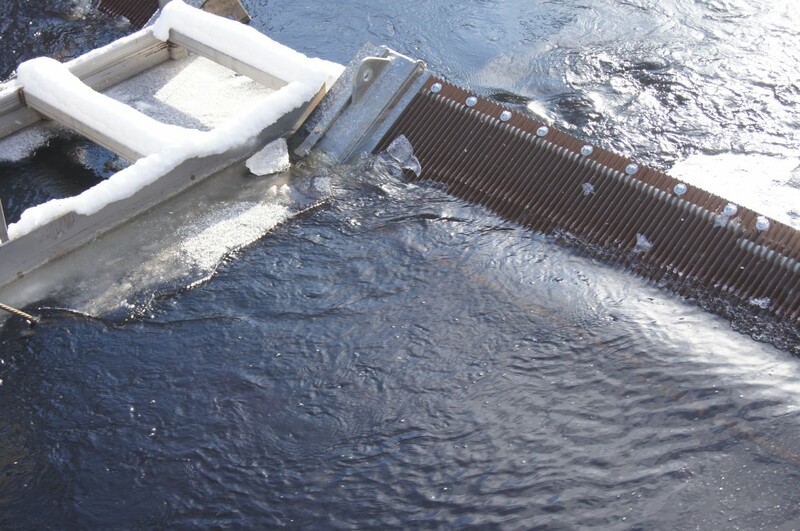 We deliver fish friendly downstream migration solutions. 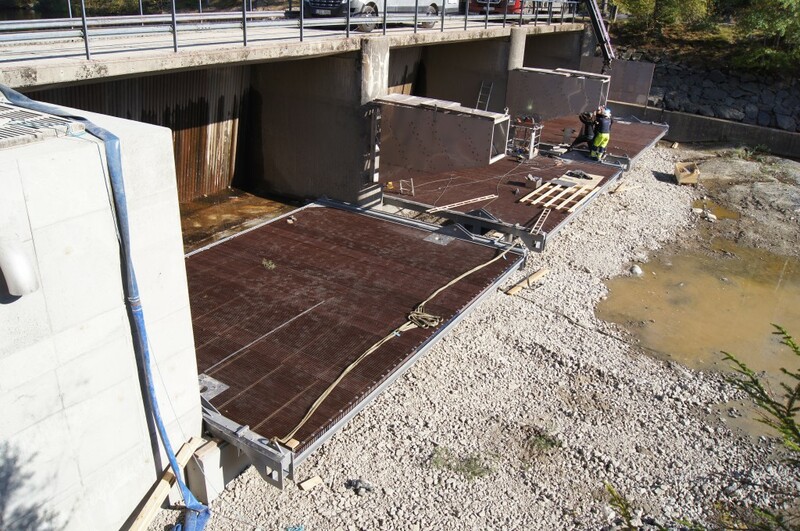 We offer both Alfa- and Beta- type trashrack/bar-screens, with or without integrated fish by-pass solution. The alfa-type is a traditional vertical bar trashrack, low inclined (approx. 30-45 degrees) usually with a free opening between the profiles of 12-20mm, sometimes more depending on fish type. With our long experience we are able to support you from the planning phase as speaking partner providing conceptual ideas until delivery and comissioning of a complete- or part- solution. 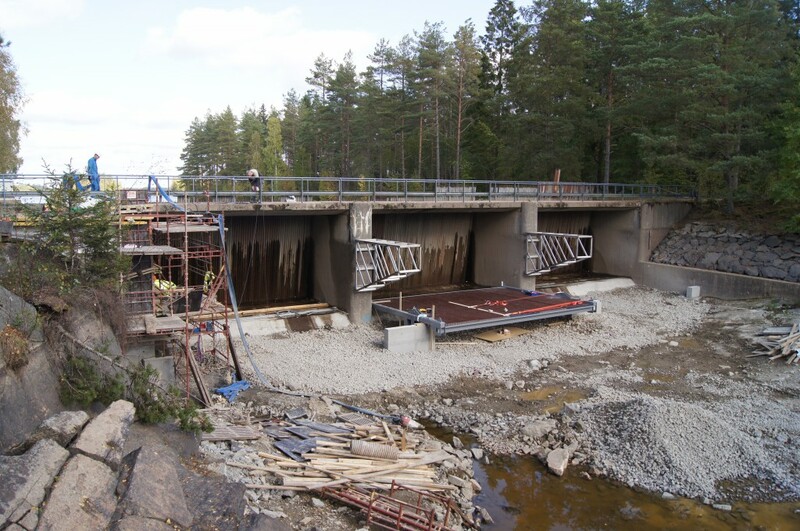 When planning and designing trashrack solutions with small gap, there are several important issues to adress , both from the environmental point of view and the hydropower-production point of view. A number of the CompRack product benefits have large impact on the overall efficiency, both environmental and productional. Things that haven´t been a problem for a trashrack with lager gap easily grows to one when closing the gap if it hasn´t been adressed properly in planning phase. 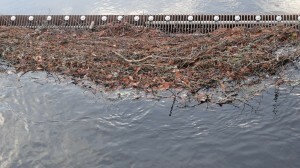 Productional issues to adress: – Possible obstruction of the trashrack by foregn objects such as grass/seaweed in the spring after ice-break, leaves in the autumn, frazil ice in the winter. Surface corrosion over time will reduce an already narrow gap and cause headloss. More frequent cleaning is allways needed by decreased gap distances……. 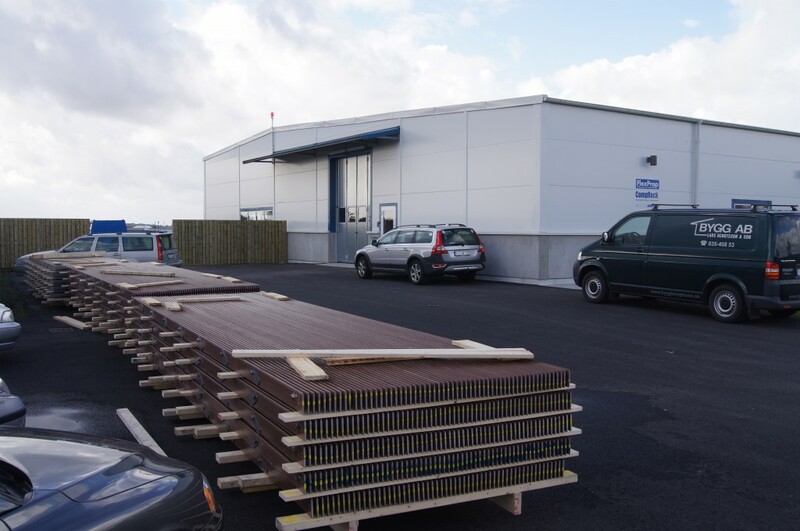 Environmental issues to adress: Important to use fish friendly profiles without sharp edges. Corroded profiles have rough surface and might harm the fish. A lot of these issues can be handled efficiently by using CompRack trashrack with benefits that take care of these problems. Below we present two sites equipped with different types of CompRack fish friendly trashrack. 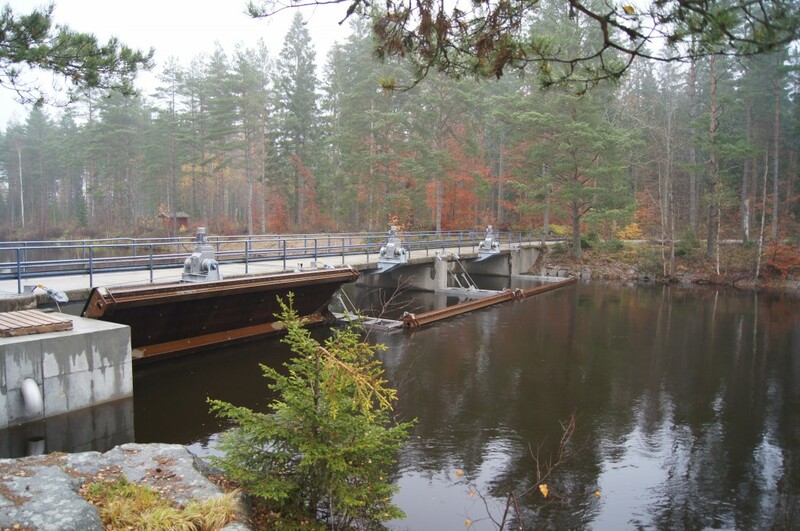 Fish guide system for downstream migration at Granö HPP, River Mörrum, Sweden. Based on low inclination vertical profiles and a free space between profiles of 18mm. 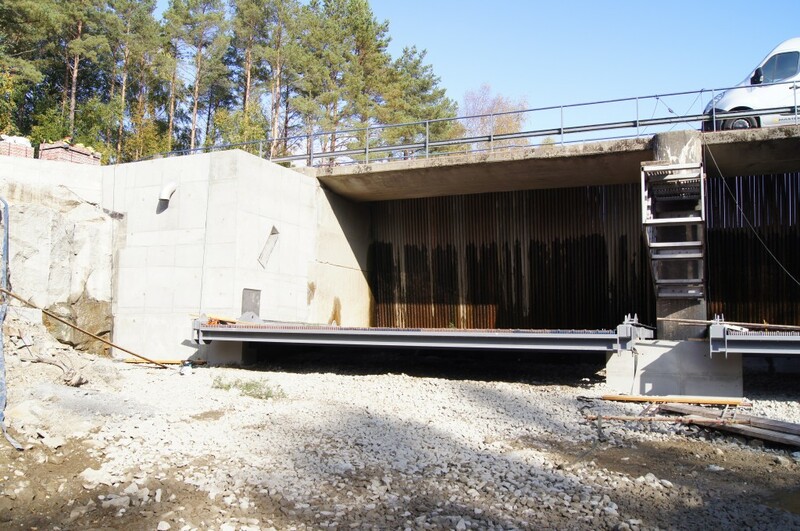 This site also works as a test facility to evaluate the operation during different conditions and various inclination angles between 30-45 degrees. Elevation of the barscreen frames can be adjusted by a fixed lifting wires. 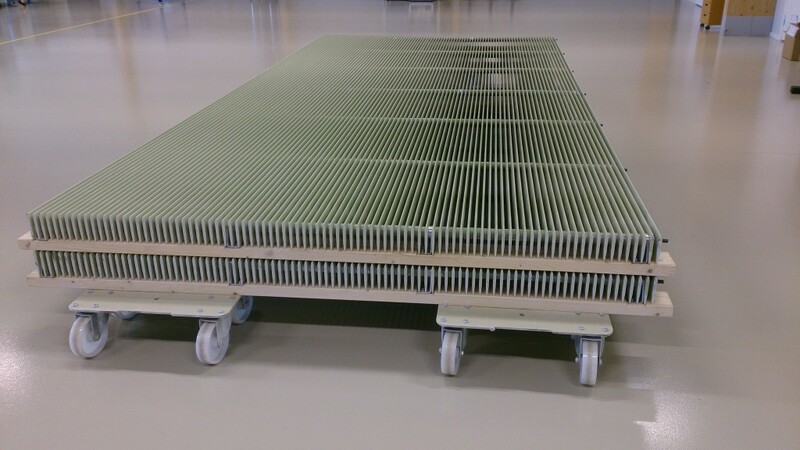 CompRack glassfiber composite bar screens ready for delivery. 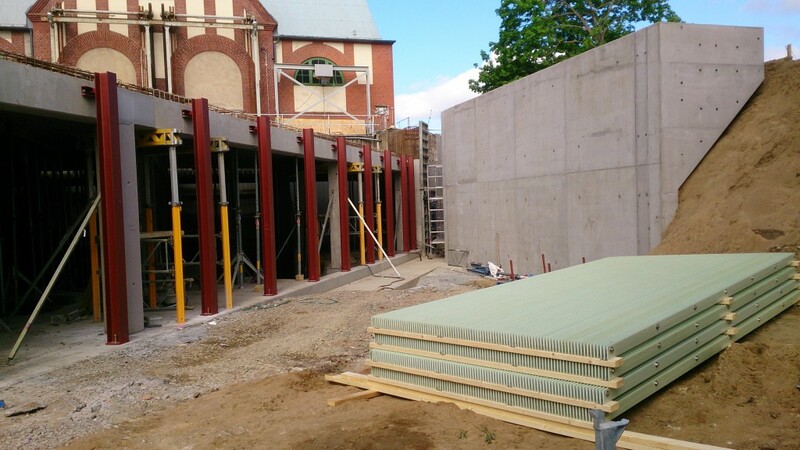 Building site, middle bar screen frame installed. Left bar screen fram in horisontal position. 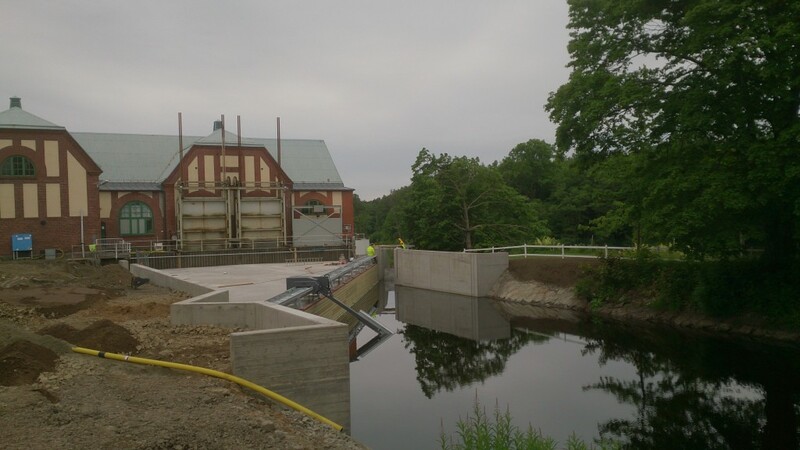 Fish collecting unit made of concrete to the left in picture. All three bar screen frames installed. 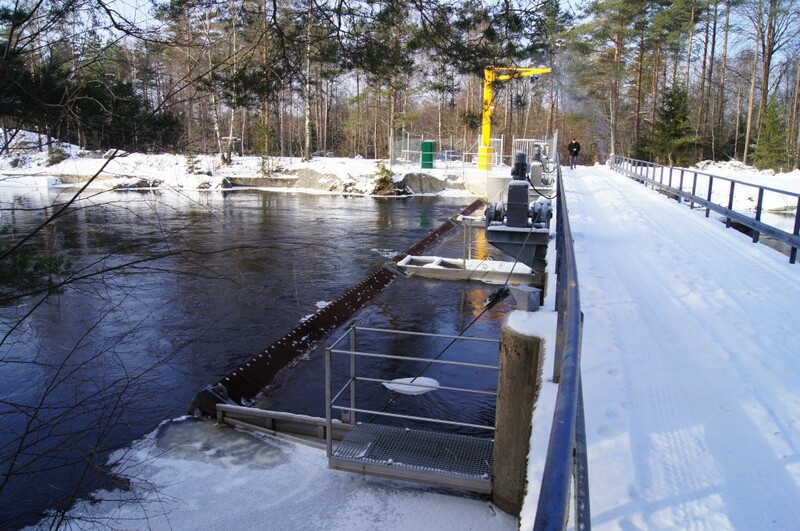 Downstream fish guide system in operation mode. Bar screen inclination 35 degrees in operation mode. 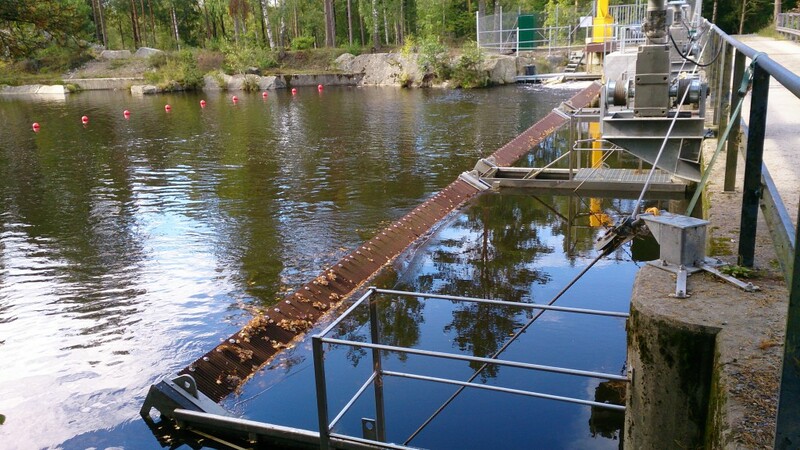 Fish guide system for downstream migration at the Herting HPP, River Ätran, Sweden. Based on horisontal profiles with low inclination (30 degrees) towards the stream and a free space between profiles of 15mm. Building site. Support structure behind barscreens made of vertical beams seens in center of picture. 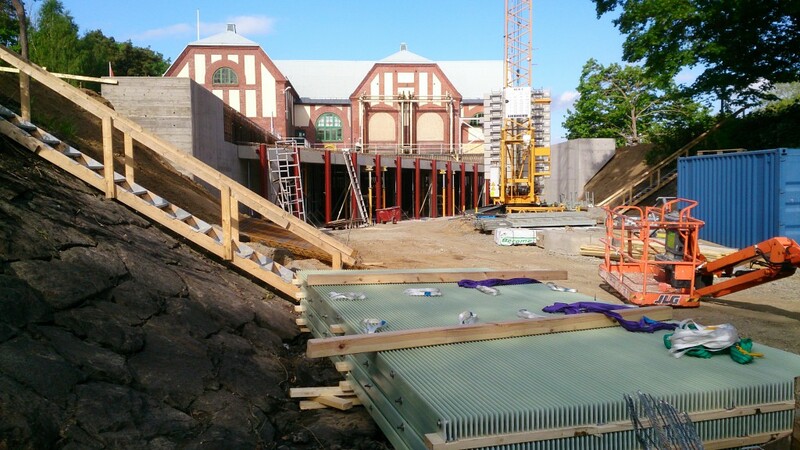 Building site. 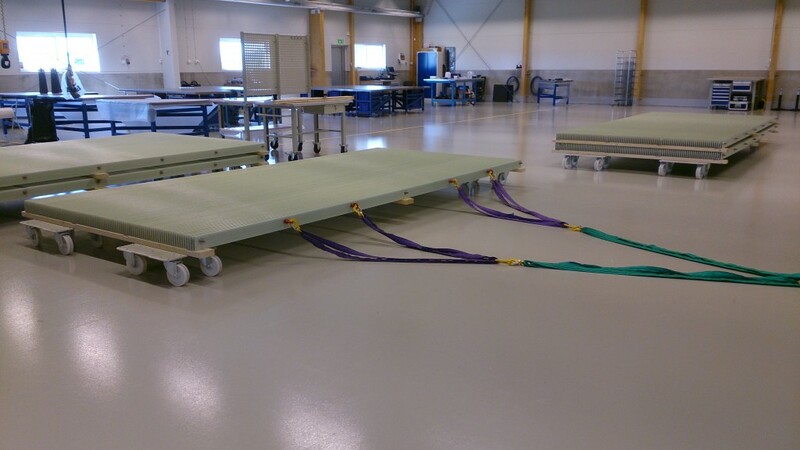 Barscreens ready to be installed on the support structure.